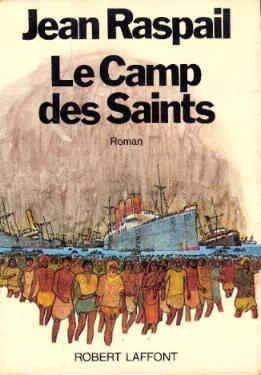 Representative Steve King has not only refused to apologize for defending Western civilization, he's recommending people read the now-prophetic anti-immigration novel "Camp of the Saints" by French author Jean Raspail. The book, which was written in 1973 but has recently seen a massive resurgence, laid out a scenario where one million starving, sickly Indians arrive on the shores of Europe and ask to be taken in. Rather than repel this invasion with military force, Europeans let them in with open arms determined "to welcome the million Christs on board those ships, who would rise up, reborn, and signal the dawn of a just, new day." As a result, Europeans end up losing their societies and their countries and eventually get bred out of existence, all because they refused to say "you have to go back." The parallels with the migrant crisis are striking, hence the book's newfound popularity. 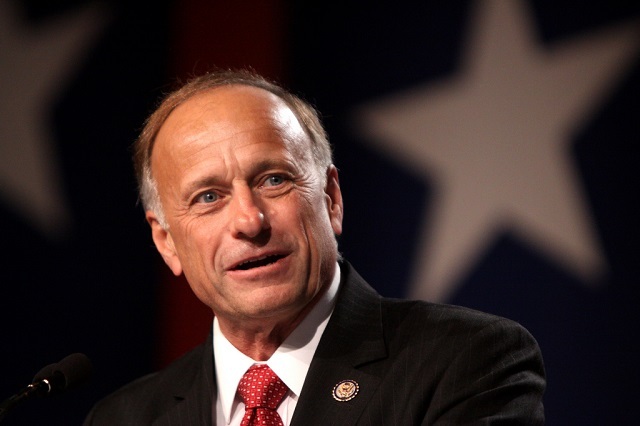 In an interview yesterday on "The Jan Mickelson Show" which aired on WHO Radio in Iowa, Representative Steve King once again defended his comments that "we can't restore our civilization with somebody else's babies," and recommended all listeners to the show "read Camp of the Saints." The interview is drawing headlines because Steve King reacted to a clip of Jorge Ramos on Tucker Carlson salivating about whites becoming a minority in America by saying: "He's adding up Hispanics and blacks into what he predicts will be in greater number than whites in America. I will predict that Hispanics and the blacks will be fighting each other before that happens." White liberals apparently found the notion blacks and Hispanics fight with one another to be controversial, even though the SPLC even covered how Hispanic gangs are "ethnically cleansing" blacks from Los Angeles all the way back in 2007. A report from early March in The Huffington Post showed White House chief strategist Steve Bannon is also keenly aware of the book. "It's not a migration," Bannon said about the migrant crisis on his radio show January 19th, 2016. "It's really an invasion. I call it the Camp of the Saints."